DEAR JERRY: A friend stunned me recently by saying that before 1964, and the first U.S. Beatles album, no rock group had a No. 1 album. Is this accurate? If so, then how close did the Beach Boys and 4 Seasons come? How many solo artists, either male, female, or mixed, did so during the pre-Beatles years? DEAR HOWARD: Your friend is telling it like it is, making album sales by groups just one more example of how the Beatles changed everything. 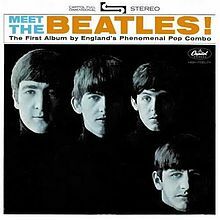 Before “Meet the Beatles” zoomed to the top of the LP charts, the only vocal groups to accomplish that were either folk music or adult-oriented pop acts; five by the Kingston Trio; two by Peter, Paul and Mary; and three by Mitch Miller and the Gang. As for the Beach Boys, “Surfin' U.S.A.” (1963) reached No. 2, and “Sherry & 11 Others,” by the 4 Seasons (1962) peaked at No. 6. Then came the British Invasion, bringing instant and remarkable consequences. The remaining 44 are by something other than a solo singer, comprising soundtracks (4), original casts (2), and vocal (32) or instrumental (6) groups. Before going solo, Joplin sang lead for Big Brother and the Holding Company, and their “Cheap Thrills” hit No. 1 in October 1968. Wondering about the two top first generation rock and roll gals? The highest LP chart position for Connie Francis and Brenda Lee is No. 4, and both of them reached it in the same year, 1960. Before “Pearl,” four non-rock females peaked at No. 1: Doris Day (1955); Judy Garland (1961); the Singing Nun (1963); and Bobbie Gentry (1967). Not until the end of 1976 were there two consecutive No. 1 albums by females: “Living in the USA” (Linda Ronstadt) and “Live and More” (Donna Summer). 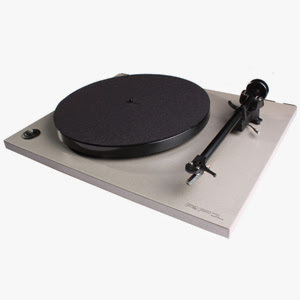 DEAR JERRY: Most popular recordings are eventually forgotten and rarely heard in years ahead. 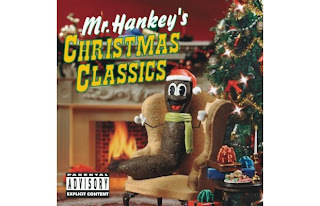 Not so with Christmas songs. Once one becomes a hit, it can be played and sold every year around this time, seemingly forever. It's hard to know exactly how old some of them are. “Rockin' Around the Christmas Tree”: Many versions of this, but my favorites are by Brenda Lee, and the duet by Ronnie Spector and Darlene Love. “Blue Christmas”: Obviously Elvis owns this tune, but Brian Wilson has a really beautiful ballad version. “Jingle Bell Rock”: Dozens exist, but Bobby Helms seems to be the main one. A duet by Bobby Rydell and Chubby Checker also gets played a lot. “Santa Claus Is Comin' to Town”: I first heard it by the 4 Seasons, then years later by Bruce Springsteen. “Sleigh Ride”: Issued in every conceivable style, from the Boston Pops to the fabulous version by the Ronettes. IZ ZAT SO? Leroy Anderson composed the music for “Sleigh Ride” in 1948, though his instrumental arrangement didn't come out on record until late '49 (Boston Pops). In 1950, Mitchell Parish wrote the now-familiar lyrics to go with Anderson's work, making for a magnum opus. Each year, “Sleigh Ride” is either at or near the top of America's most-played Holiday songs. They're still gigging! They're doing THICK AS A BRICK in concert in it's entirety. The last recorded studio album was THE JETRO TULL CHRISTMAS ALBUM. The songs are a mix of new material, re-recordings of Tull's own suitably themed material and arrangements of traditional Christmas music. In 2009, the live album Christmas at St Bride's 2008 was included with the original album on CD. "We kept them in the vault and decided to pull them just for this special celebration, so here are the four leftover tracks from the Death Magnetic sessions. 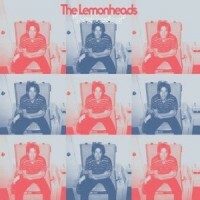 They are ROUGH mixes, unfinished to their original degree of mixing from March '08. These four songs were released as gift to our closest fans, the members of our Fan Club, to enjoy. Now they're being made available to you,"
Additionally, the cuts, "Hate Train," "Just A Bullet Away," "Hell and Back" and "Rebel of Babylon" were all performed live for the first time last week, during Metallica's four-night stand at the Fillmore in San Francisco in celebration of their 30th anniversary. And to top this all off, Lars Ulrich told fans "to listen for news to come in mid-January 2012 about something very special coming in June." 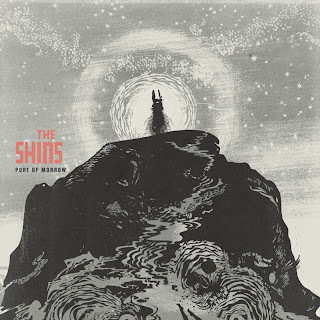 The Shins have just revealed the album cover art and a tentative release date for their fourth album called 'Port Of Morrow.' Thier first album since 2007′s Wincing the Night Away, is scheduled for release sometime in March 2012 via Aural Apothecary label and Columbia Records. The effort was was recorded in Los Angeles and Portland and was produced by Greg Kurstin and mixed by Rich Costey. An exact release date and upcoming tour dates will be announced in the near future. Frontiers Records has announced the signing of TRIXTER for the worldwide release of the band's reunion album in the spring of 2012. Formed in Paramus, New Jersey in 1984, TRIXTER's self-titled debut album attained gold status (reaching #28 on The Billboard 200 in 1990), and spawned three minor hit singles: "Surrender" (#72), "One In A Million" (#75), and "Give It To Me Good" (#65). Despite the fact that none of the singles made the Top 40 or garnered much radio airplay, the videos for all three tunes were in heavy rotation on MTV (especially "Give It To Me Good", which was #1 on the channel for several weeks). "Just wanted to announce that I will be coming back with my band Great White and a brand new lineup. My new bandmates are some of the most incredible musicians I have ever had the privilege to play with: Matthew Johnson - former guitarist for Great White, Derrick Pontier - former drummer for Great White, Dario Seixas - former bassist for Firehouse and the Stephen Pearcy band, and Robby Lochner - former guitarist for Rob Halford's band and Cherie Currie." Tom Petty and The Heartbreakers have recently announced some of their 2012 North American tour dates. The tour will start April 19th in Broomfield, Colorado and also includes the band’s first ever show at the New Orleans Jazz & Heritage Festival; where they will headline act the first weekend on Saturday, April 28. The band will also be touring in Europe for the first time in 20 years, heading there on June 3rd. LOS ANGELES, Dec. 14, 2011 /PRNewswire/ -- A companion video for "Almost Gone" – a new song by legendary singer-songwriter Graham Nash and musician James Raymond (son of David Crosby) – is being released today in support of accused U.S. Army whistleblower Bradley Manning. The free download is available on Nash's website (www.grahamnash.com) and the Bradley Manning Support Network site www.bradleymanning.org. characterized as "harsh and punitive." Visually, the Almost Gone video is punctuated with bold graphics, disturbing images and harsh facts. Its release is scheduled to precede Manning's pre-trial hearing on December 16, which is the day before his 24th birthday. The Bradley Manning Support Network has named the following day, December 17, its International Day of Solidarity (http://events.bradleymanning.org/). PFC Manning, an Army intelligence analyst who had been stationed near Baghdad, was arrested in May 2010 under suspicion of leaking classified information, including a video showing the killing of civilians, to the anti-secrecy website WikiLeaks. Nash and Raymond composed the song "Almost Gone (The Ballad of Bradley Manning)" during this spring's US tour of Crosby-Nash, and the new recording serves as the music bed for the video; it features an impassioned lead vocal by Nash, a two-time Rock and Roll Hall of Fame inductee (Crosby, Stills & Nash, and The Hollies). "Bradley Manning is a hero to me," he sings, acknowledging Manning's role in making public videos and documents that shed light on such issues as the true number and cause of civilian casualties in Iraq, human rights abuses by U.S.-funded contractors and foreign militaries, and the role that spying and bribes play in international diplomacy. 3. Guided By Voices - Doughnut For A Snowman 7"
4. The White Stripes - Merry Christmas From The White Stripes 7"
7. The Civil Wars - Tracks In The Snow 10"
12. The White Stripes - Hello Operator 7"
13. Becky & John (C. Reilly) - I'll Be There If You Ever Want 7"
14. Sharon Jones & The Dap-Kings - Soul Time! 25. Amos Lee - Live At Grimey's 7"
In 1953, "I Want a Hippopotamus for Christmas", recorded earlier in the year by 10 year old Gayla Peevey, inspired an Oklahoma City fund-raising effort to buy a hippopotamus for the Oklahoma City Zoo. Oklahomans raised $4,000 for the cause, with much of the money coming from children. The zoo bought a 3-year-old hippo named Matilda who had eight offspring and died in 1998. 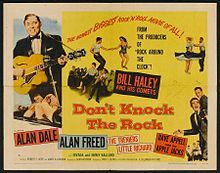 In 1956, disc jockey Alan Freed's second film, "Don't Knock The Rock," starring Freed, Alan Dale and Patricia Hardy, with performances by Little Richard, Bill Haley and His Comets, Dave Appell and the Applejacks, and the Treniers, opened in U.S. and Canadian movie theaters. In 1959, Billboard Magazine reported that in the wake of the government's payola investigations, the pay-for-play phenomenon has all but ceased. 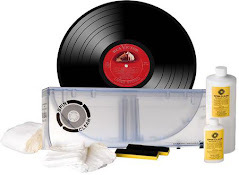 One Philadelphia record distributor complained, "You can't even buy the disc jockeys lunch." In 1959, the Ohio State University Research Center finds that although Rock 'n' Roll is the overwhelming favorite of kids aged 14 to 18, adults aged 19 to 70 list it as their least favorite form of music. Also in 1959, "First Name Initial" by seventeen year old Annette Funicello entered the Billboard chart, where it eventually reached #20. In 1962, Bob Dylan's first single, "Mixed Up Confusion" b/w "Corrina, Corrina," was released. According to legend, Dylan wrote "Mixed Up Confusion" in a cab on the way to the Columbia Studios for the recording session. In 1962, Bill Wyman made his live debut with The Rollin’ Stones at the Ricky Tick Club, Star and Garter Hotel in Windsor, England. The group were known as The Rollin' Stones during this period. 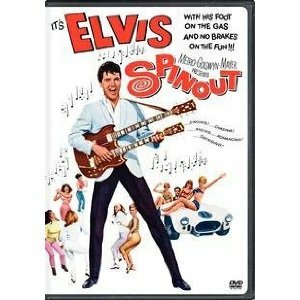 The Elvis Presley film "Spinout" premiered in 1966. In 1968, Iron Butterfly's classic album, 'In-A-Gadda-Da-Vida' was certified Gold. Today it is a multi-platinum album with sales of over 25 million copies. Also in 1968, Marvin Gaye scored his first US #1 single when “I Heard it Through the Grapevine” started a five-week run at the top. It was Gaye’s 15th solo hit and also his first UK #1 single in March 1969.
performance of the song on The Ed Sullivan Show on January 26, it became number one on February 1, 1969, a position held for one week on Cash Box Top 100 and two weeks on both Billboard Hot 100 and Record World 100 Top Pops. Internationally, the song reached number one in Canada, Germany, New Zealand, Singapore, South Africa and Switzerland. It also charted in Austria, Brazil, France, Holland, Italy, Israel, Malaysia, Mexico, Philippines and Puerto Rico. Despite this, the song did not chart in the United Kingdom. In mid-1969, Billboard reported that the single had sold 2.5 million copies in the United States. By 1971, Roulette Records claimed that sales stood at 5.5 million, the group's best-seller. I met James in Chicago around 1979, very cordial and easy to talk to. He was appearing at the new indoor theme park (i forgot the name) and did a number of his old hits and some new material. In 1972, in New York City, Alexander's department store stayed open late so that Alice Cooper, who was wearing silver pants and a "Paul Lives" button, could do his Christmas shopping. In 1974, Styx' "Lady" was released. 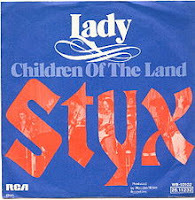 The single was first released on Styx II and was a local hit in the band's native Chicago, but initially failed to chart nationally. The song gained success shortly after Styx left Wooden Nickel Records to move to A&M Records in 1974 as it began picking up airplay nationwide, eventually peaking at #6 on the Billboard Top 40. 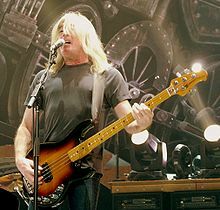 The track was later re-recorded for the 1995 Styx compilation Styx Greatest Hits due to a contractual dispute between A&M and Wooden Nickel. 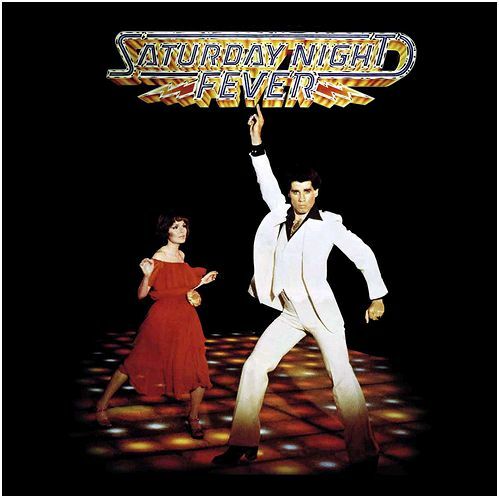 "Lady" was written by then-Styx keyboardist and founding member Dennis DeYoung for his wife, Suzanne Feusi, the first song he ever wrote for her. DeYoung recounted to Contemporary Keyboard magazine for the January 1981 issue that the first time he ever played acoustic piano was when the band arrived at the recording studio to record "Lady" and saw the piano in the studio; DeYoung had written the song on synthesizer, but decided to try it out on the piano instead, and liked the sound so much that he switched to the piano for the recorded version. 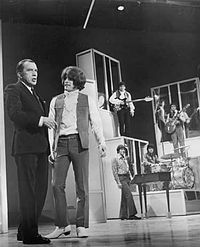 In 1969, the Jackson Five made their first network television appearance in the U.S. when they appeared on The Ed Sullivan Show. In 1973, Bruce Springsteen appeared at the Pinecrest Country Club, Shelton, Connecticut. Only 200 tickets were sold for the show. In 1980, Yoko Ono called for a 10-minute silent vigil around the world for John Lennon, her husband, who was shot to death six days earlier. Over 100,000 people went to Central Park in New York to honor the request. In 1991, Michael Jackson's 'Dangerous' debuts at #1 on Billboard's pop albums chart. In 1995, classified documents from the White House were released that revealed the FBI had spied on John Lennon and his anti-war activities during the early '70s in a possible attempt to have Lennon deported. In 1995, "Frank Sinatra: 80 Years My Way" aired on ABC-TV. Little Richard, along with Bob Dylan and Bruce Springsteen were among those who performed. In 1997, Elton John's tribute to Princess Diana, "Candle in the Wind 1997", was at its ninth week at number 1 on the Billboard chart. The record would eventually pass Bing Crosby's "White Christmas" to become the largest selling single of all time. In 1997, guitarist/songwriter Kurt Winter, a former member (1970-1974) of the Guess Who, died of kidney failure at 51. In 1999, Paul McCartney played The New Cavern Club in Liverpool, 35 years after his last appearance at the original venue. The concert is broadcast live over the Internet and attracts 50 million visits. A young fan, who changed his name to John Lennon, won a ticket to the show. The original Cavern Club closed in 1973 and was demolished to enable an underground railway to be constructed. 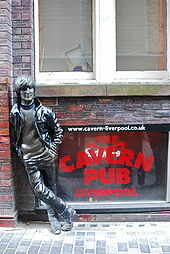 In 1984 the present building, known as Cavern Walks, was opened on the site and contains a rebuilding of the original Cavern Club in the basement, as well as shops, offices and an internal nine-storey atrium. The edifice also includes statues of The Fab Four on the outside walls. In 2003, Ozzy and Kelly Osbourne went to #1 on the UK singles chart with “Changes,” a remake of a track first sung by Ozzy on the Black Sabbath album Volume IV in 1972. It was the first father-and-daughter chart topper since Frank and Nancy Sinatra in 1967. In 2004, the funeral took place in Arlington, Texas, for Damageplan and Pantera guitarist Dimebag Darrell. Eddie Van Halen placed Darrell’s original black and yellow striped guitar into the KISS Kasket he was buried in. Several thousand fans and friends gathered at the Arlington Convention Center to mourn the guitarist’s death. Darrell was shot five times in the back of the head during a gig at the Alrosa Villa Club in Columbus on December 8 by a mentally ill former U.S. Marine. Damageplan's drum technician, John Brooks, and tour manager, Chris Paluska, were both injured in the incident. In 2006, co-founder of Atlantic Records, Ahmet Ertegun died after a fall at age 83.